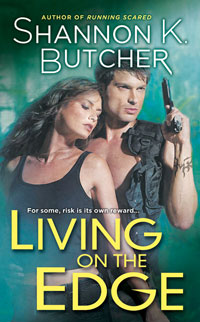 Shannon K. Butcher thrilled readers with her return to romantic suspense in Living on the Edge (March 2011), the first in her Edge series. In RAZOR’S EDGE (Signet Eclipse Mass Market Original; November 1, 2011, $7.99), Butcher dives back into her dark and exciting world of mercenaries and intrigue. In RAZOR’S EDGE, Roxanne “Razor” Haught was one of the Edge’s best operatives, but when she botches an assignment it’s clear that her mind isn’t on her dangerous job. Her ex-boyfriend is stalking her and she loses concentration at a critical moment and fails at her mission. So when she’s assigned to train one of the Edge’s newest recruits instead of being sent out into the field, Razor is sure it’s meant as a punishment. Tanner O’Connell isn’t just an ordinary recruit though—he’s a former badass special ops guy who brings a lot of experience to the Edge—and he’s also supposed to babysit Razor until her ex is no longer a threat. The last thing they want is to be partnered together, but the sparks they ignite between each other may be too hot to ignore. Readers of JoAnn Ross, Cindy Gerard, and Suzanne Brockman are sure to enjoy Butcher’s riveting tale. Her talent for writing gritty, edge-of-your-seat suspense and knack for creating memorable characters will keep readers hooked until the last page. To celebrate today's release of RAZOR'S EDGE, Shannon will be giving away a signed copy of LIVING ON THE EDGE along with a glass bookmark handmade by Shannon herself! Congratulations to Jennifer, the winner of Shannon K. Butcher's giveaway. The winner will be contacted via e-mail. Thank you to all who entered! I love Shannon's books! The story sounds great, can't wait for this one. And the bookmark is beautiful. I love Shannon's books. Thanks for the contest. Happy Release Day to Shannon. I love her No trilogy. Sounds like an interesting book. Very cool book mark. Can't wait to read this book. 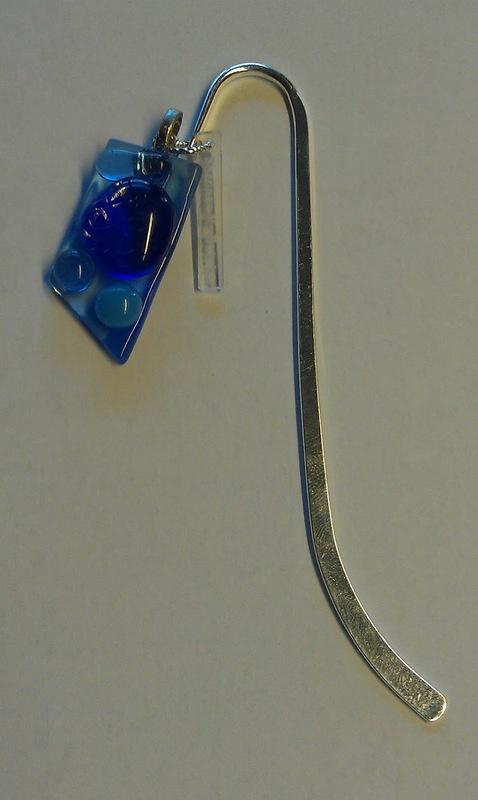 Thanks for the opportunity to win it along with the gorgeous bookmark! I'm so interested in reading her books! Thanks for the giveaway! Gotta love the stories with the crazed stalker! I have been wanting to get my hands on this book for awhile. The bookmark is beautiful. Thanks for the giveaway. My birthday is on Nov 6th....this would be a lovely present! I really really want this book. And a glass bookmark handmade by Shannon herself? Whoa...that's really awesome. Whoaa, what an interesting cover and a very beautiful bookmark. Hopefully I win this book. Thanks. Sound like interesting, I want read this book. I would love a signed book from this very talented writer, love all shannons books but not started this series yet.